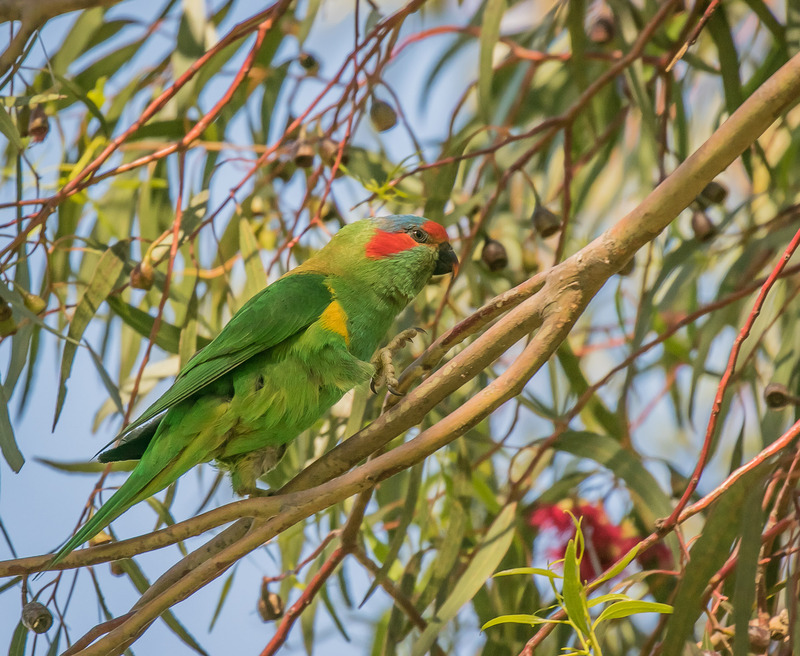 After leaving the car in the Boundary Road carpark at Braeside Park, I could hear quite a few parrots in one of the nearby trees. 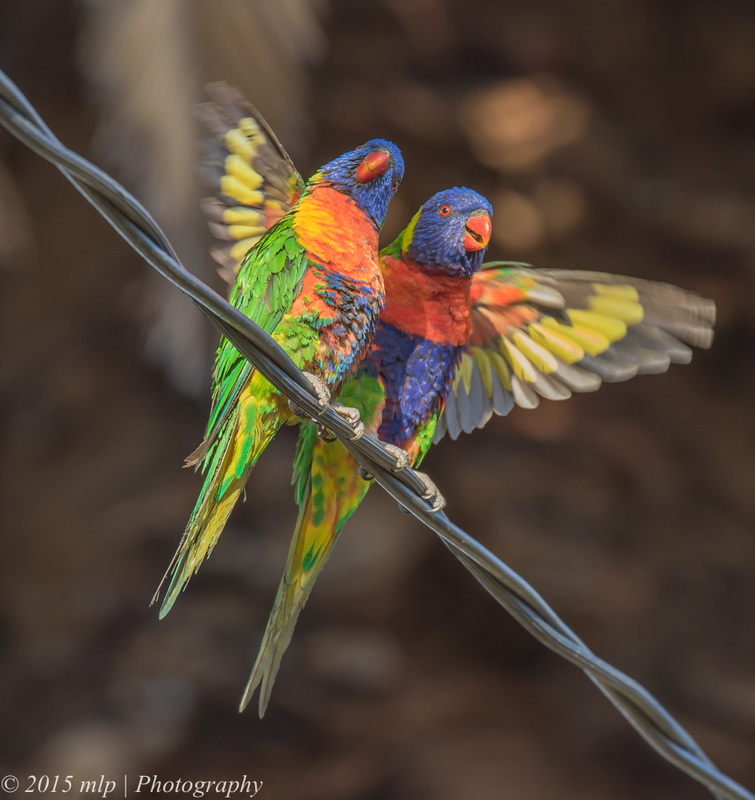 A great cacophony of squabbling and screeching. 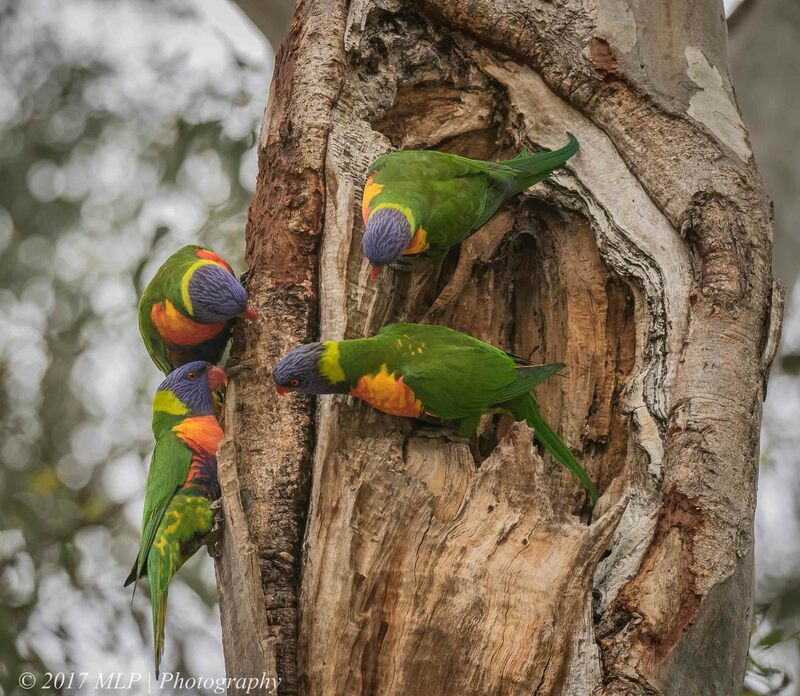 The group of four below seemed to be investigating the tree hollow. 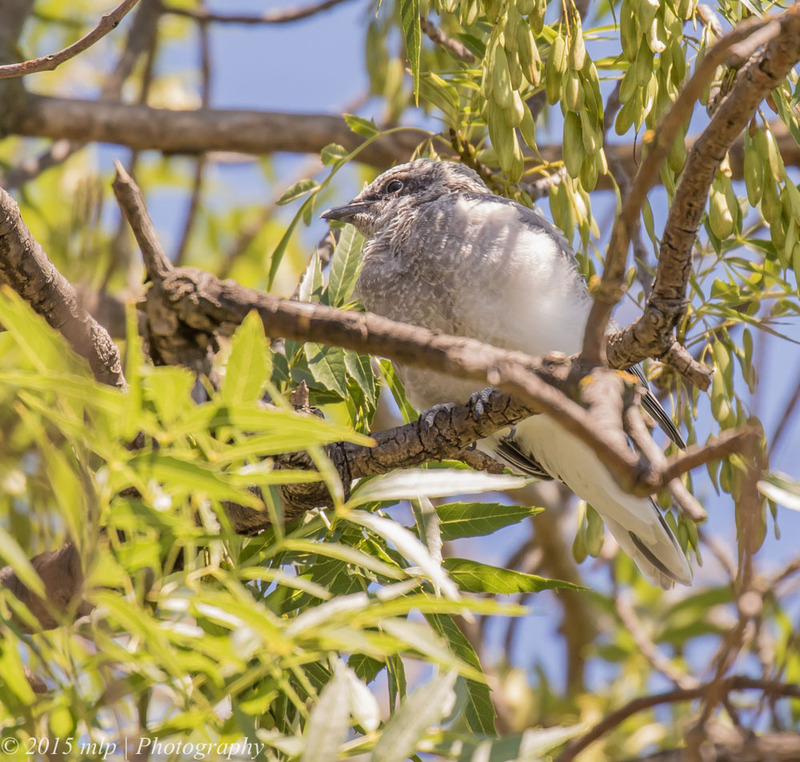 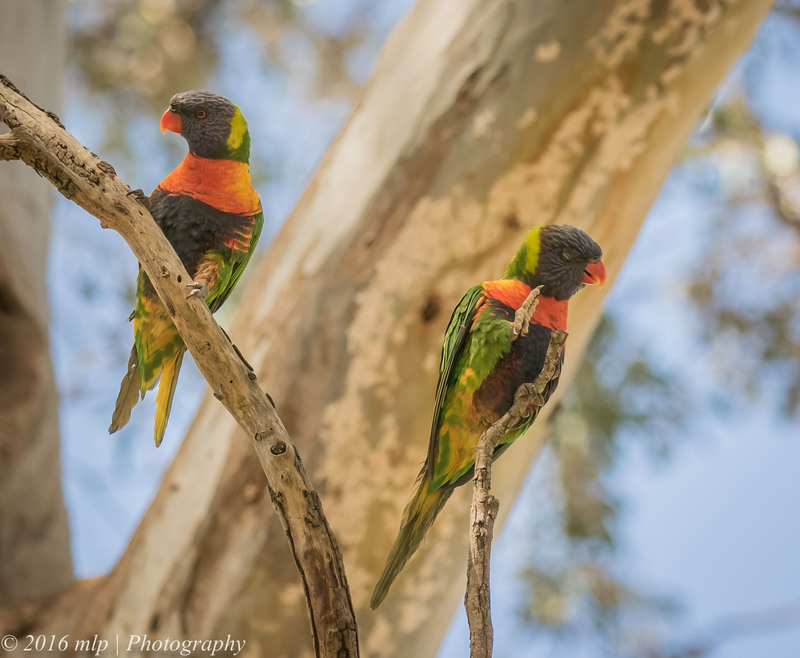 I couldn’t tell why – maybe disputing over a potential nest site or food source. 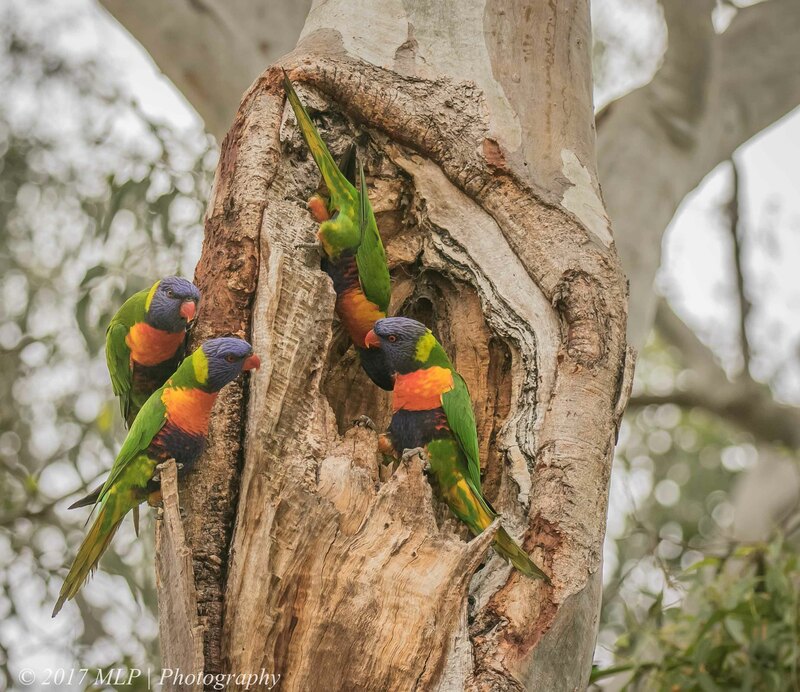 They were interesting to watch and photograph as they chewed and tested the dead wood of the hollow. 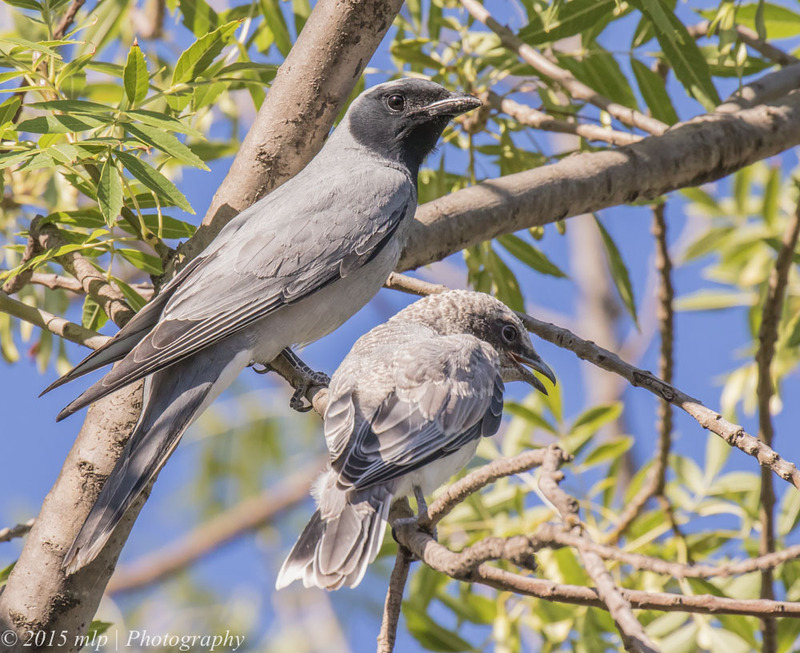 They all seemed to be adults and none were demanding food. 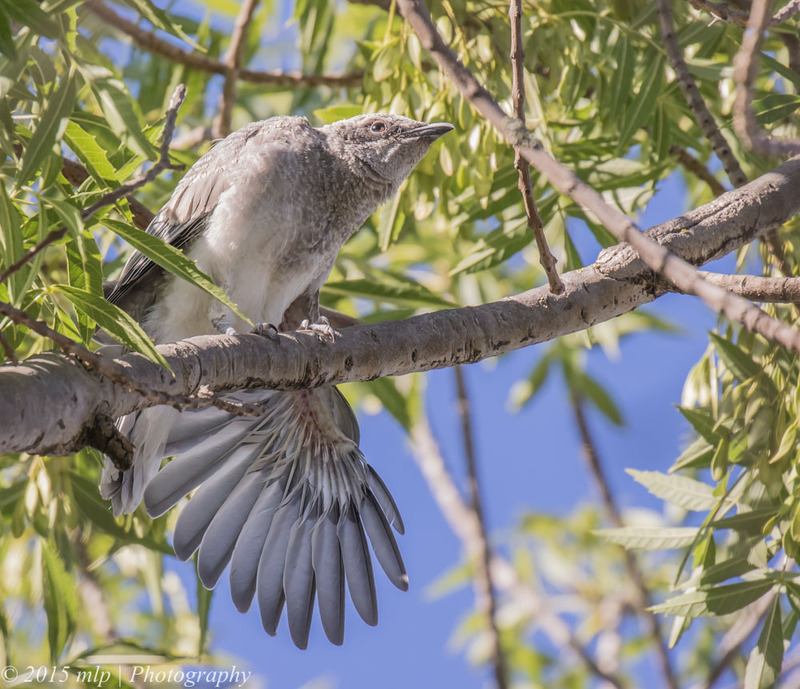 Many more were in the branches above watching and preening. 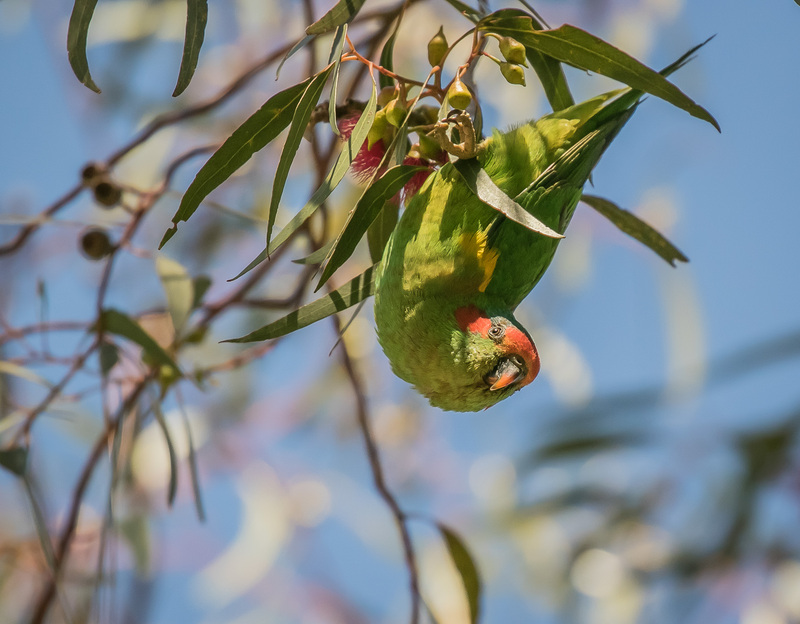 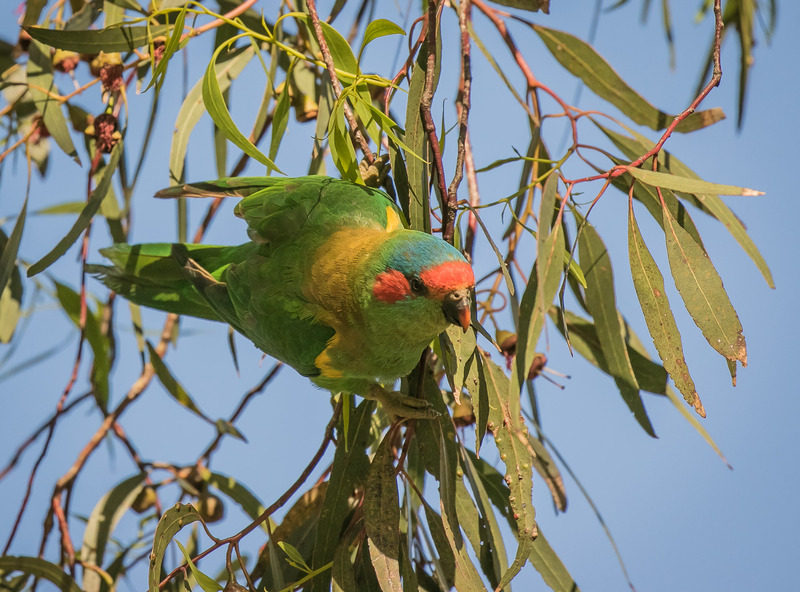 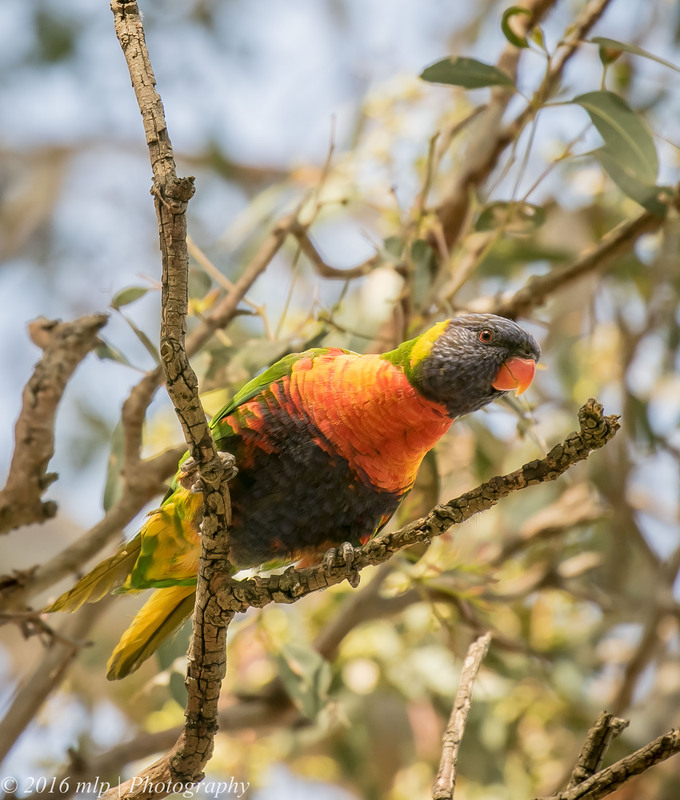 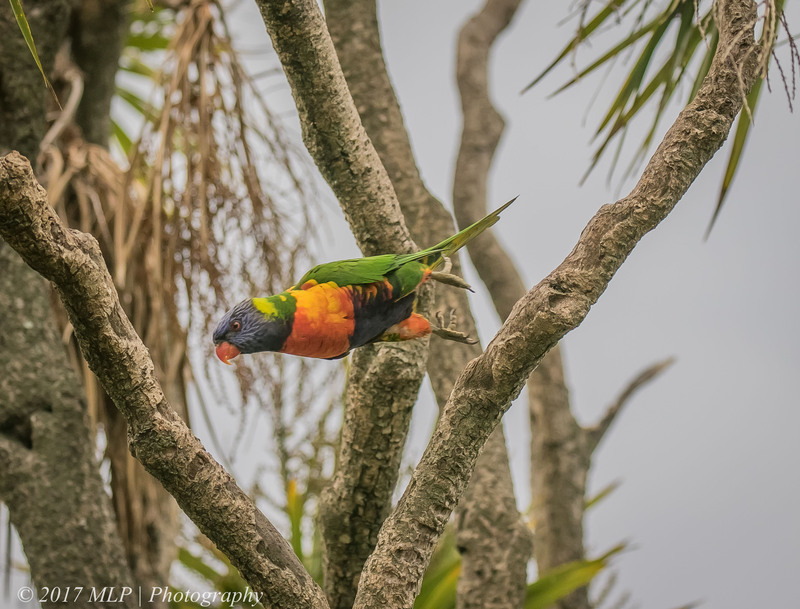 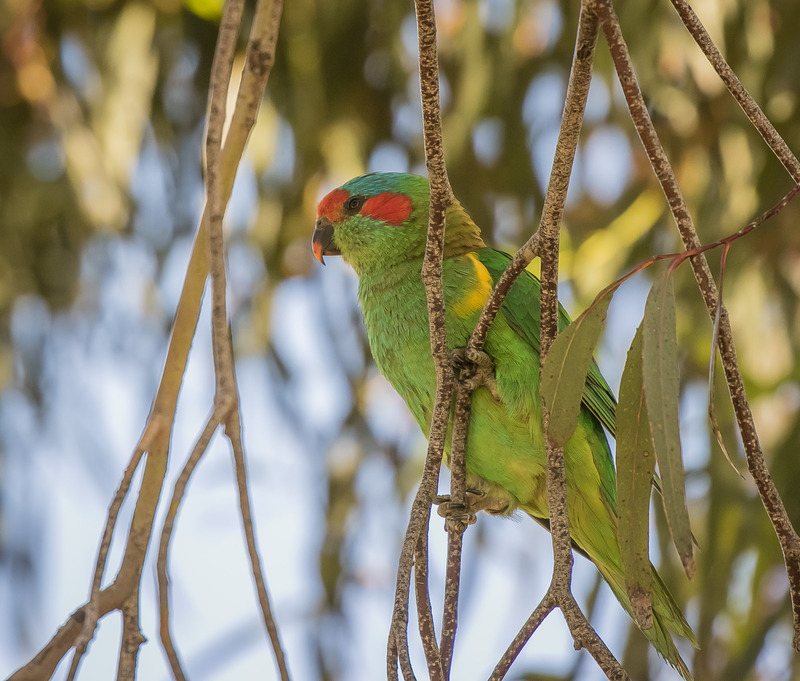 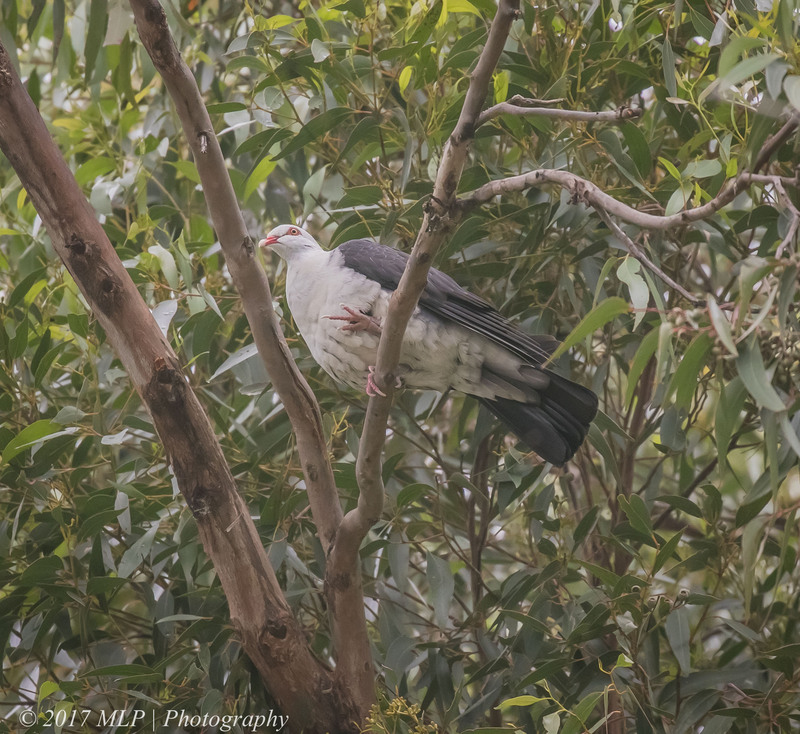 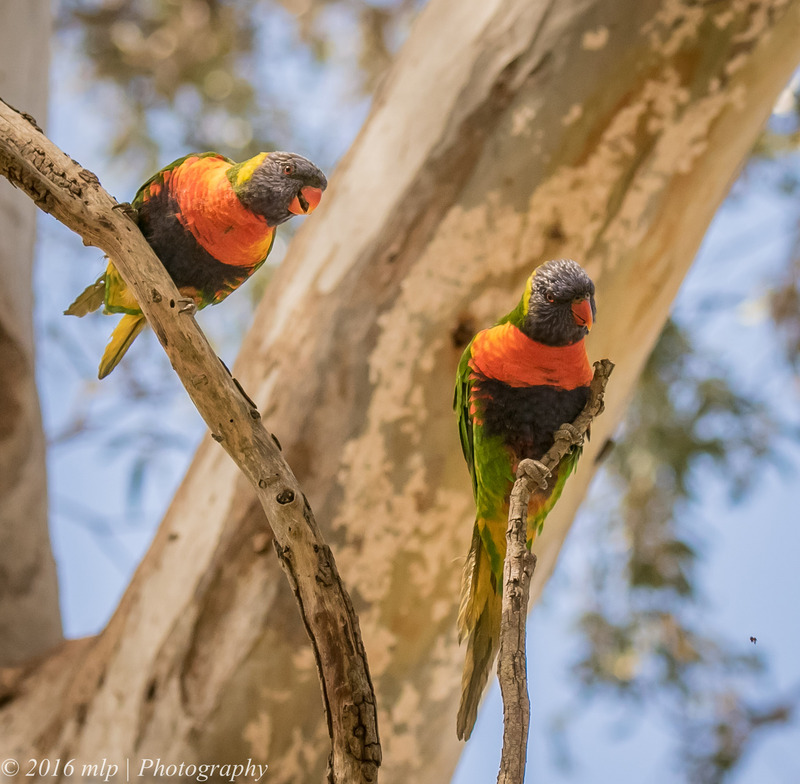 When the Eucalypts start flowering in summer the Musk Lorikeets start arriving in good numbers along Elster Creek and in the trees at Elsternwick Lake. 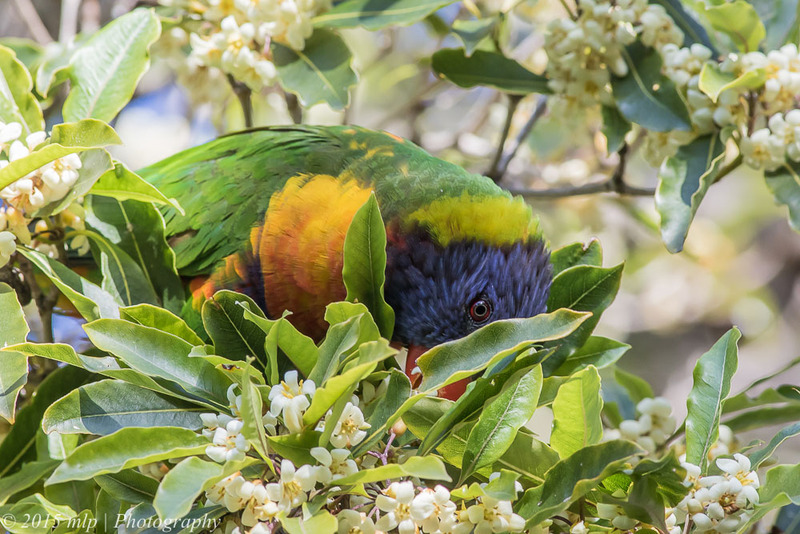 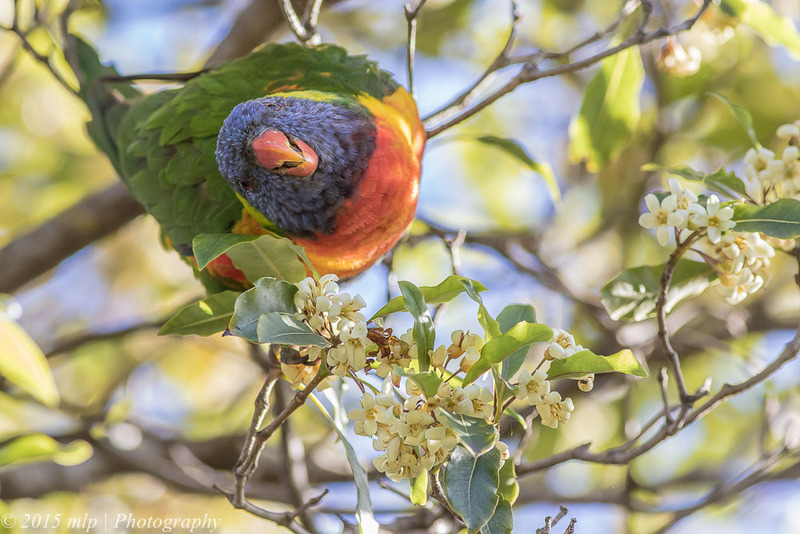 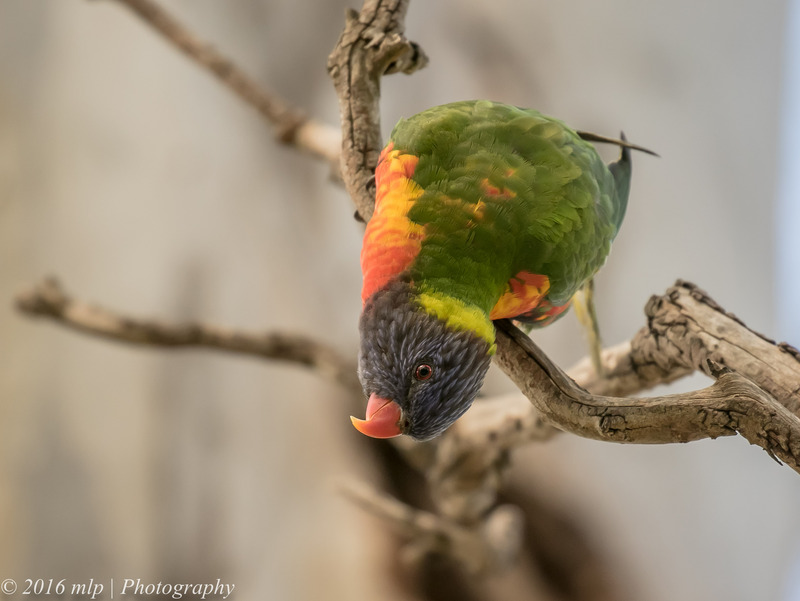 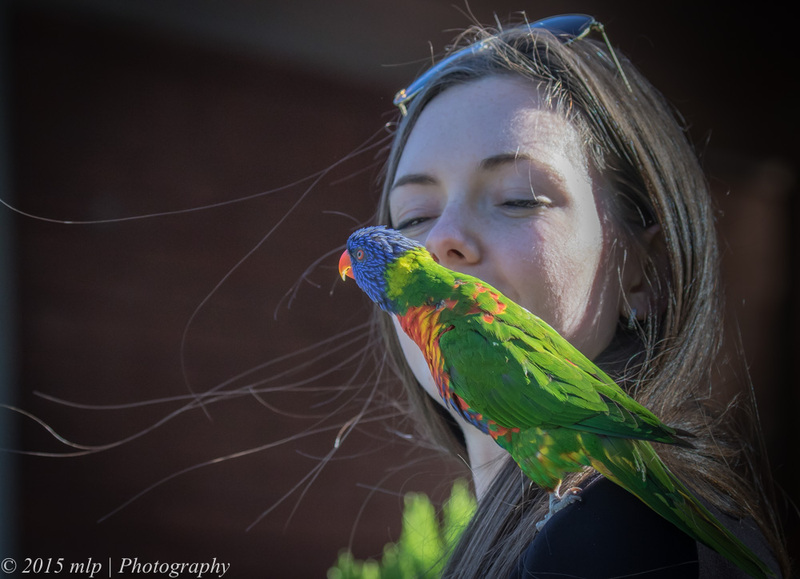 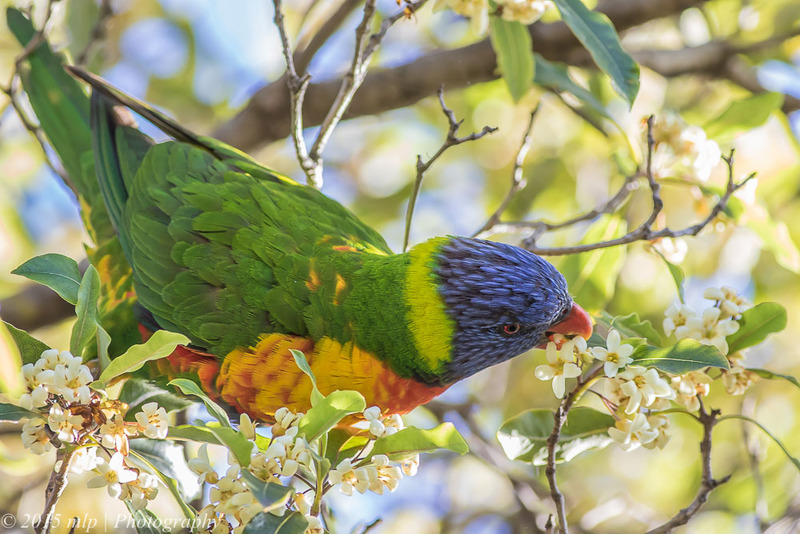 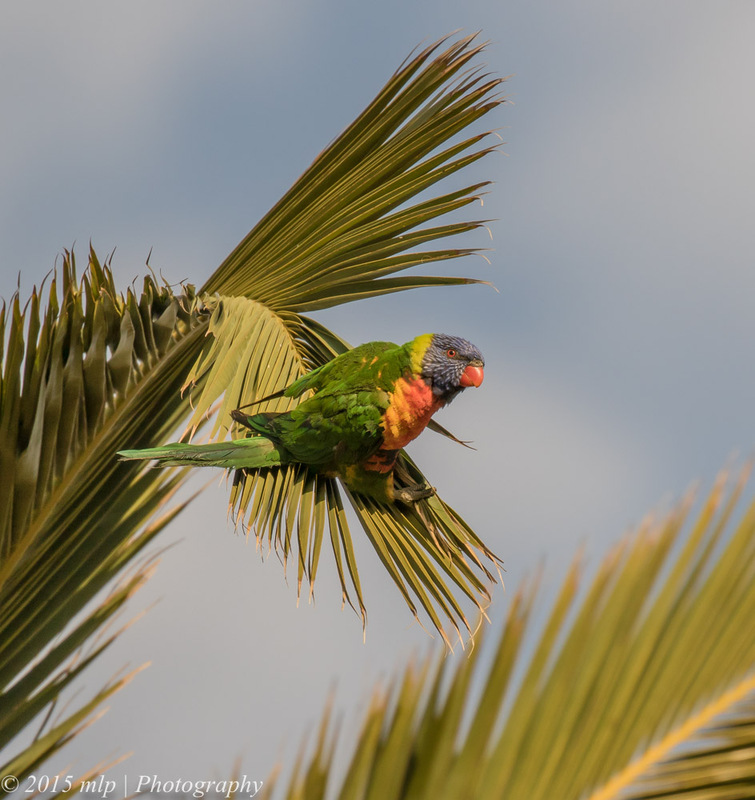 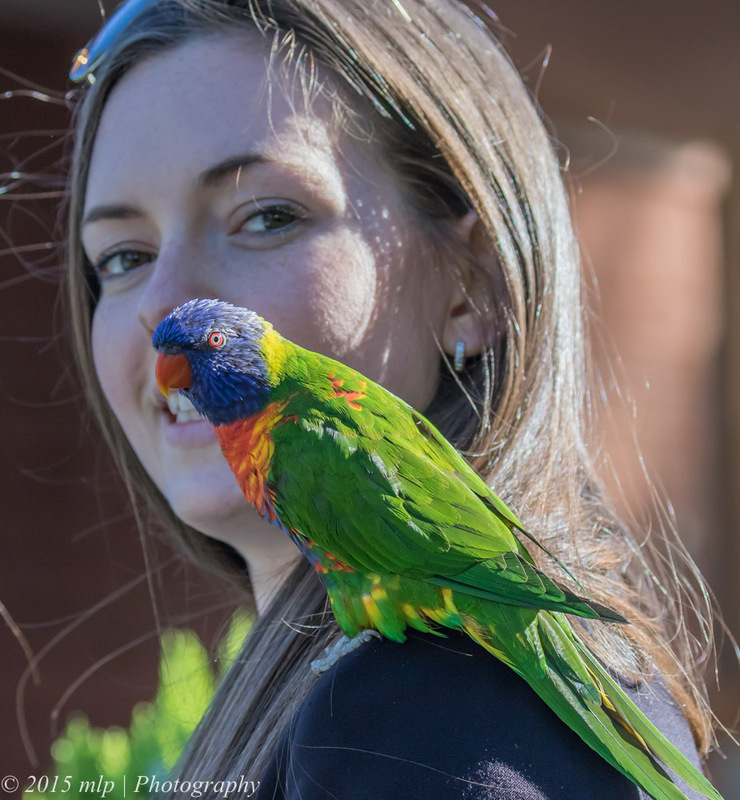 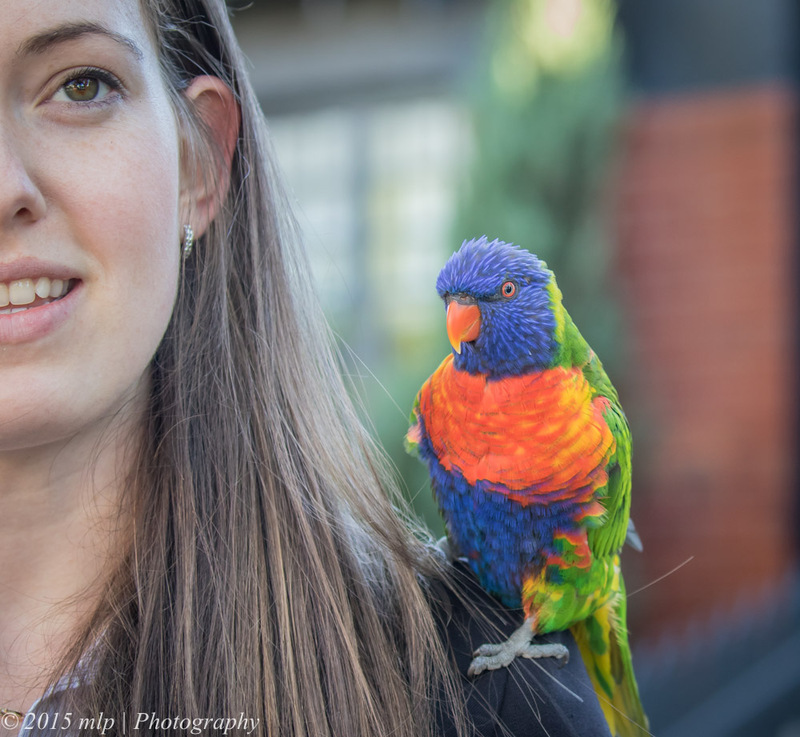 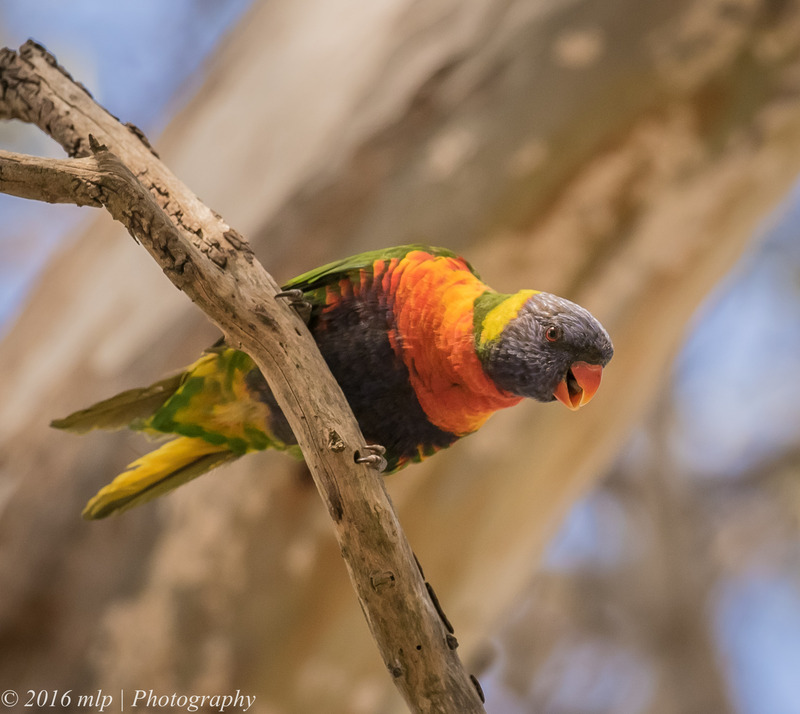 Lorikeets are highly mobile and will follow flowering eucalypts all over the state. 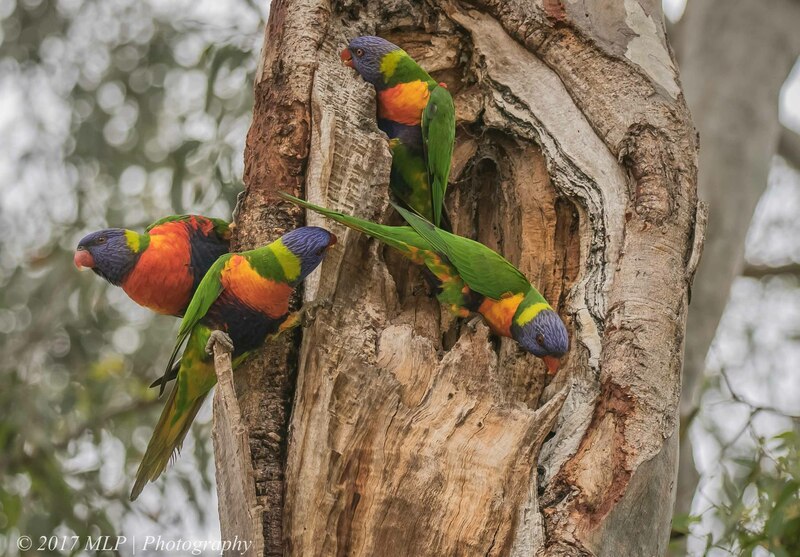 The muskies have a distinctly different call to the locally common Rainbow Lorikeet. 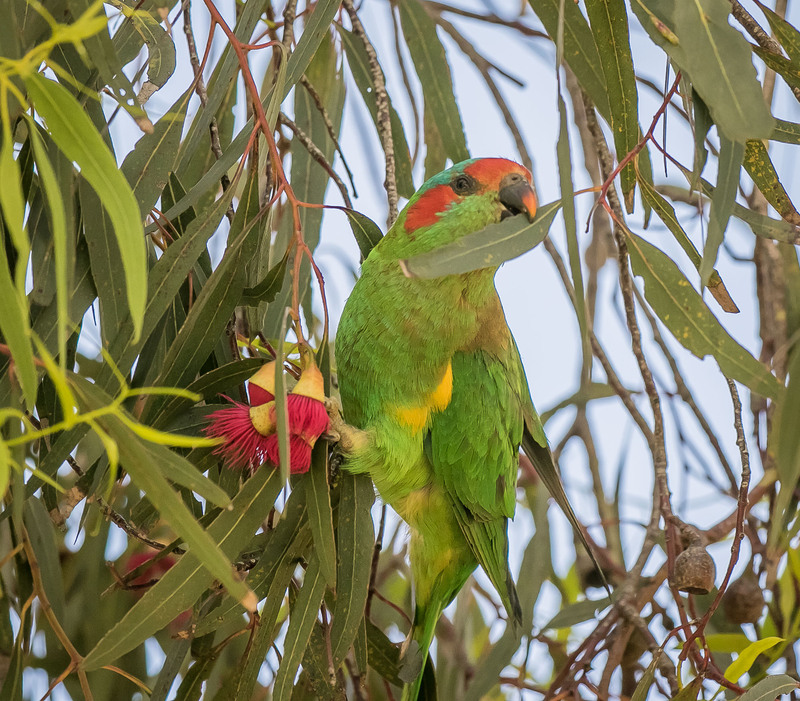 I walked over to the lake on the weekend with a birding friend and we followed our ears to the red flowering gums. 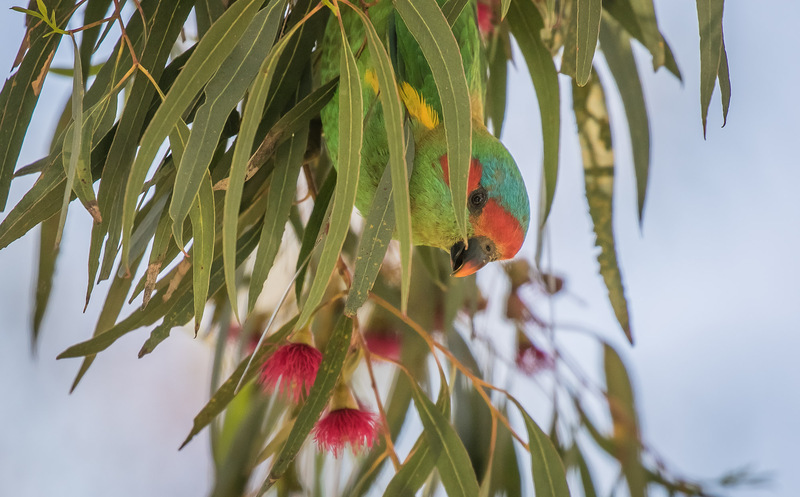 A few of the Muskies were low enough to photograph, most shots were of their typical pose – upside down and head into a flower. 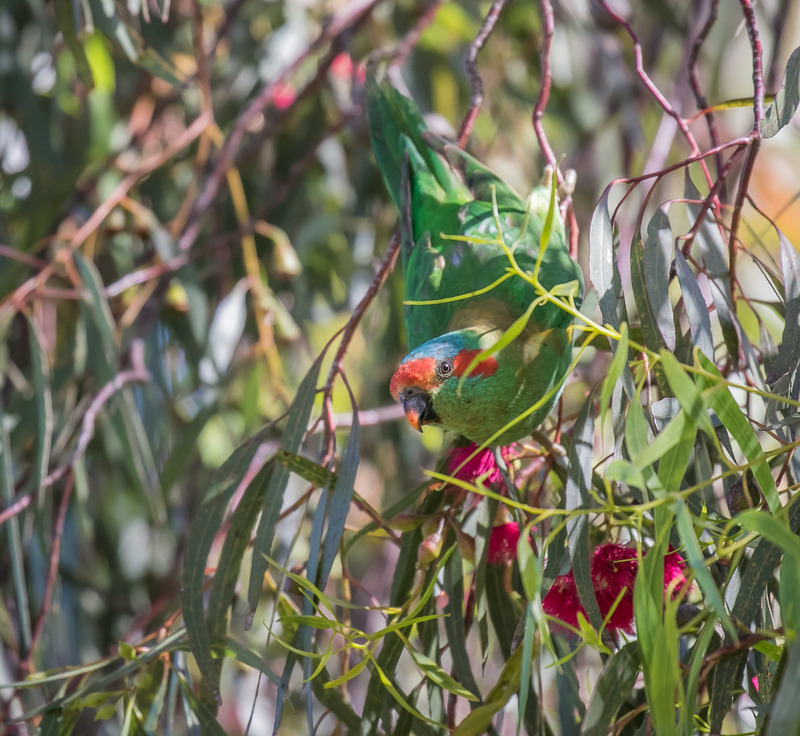 Scientifically known as Glossopsitta concinna meaning “elegant tongue parrot” – due to the way it feeds on pollen and nectar rich flowers. 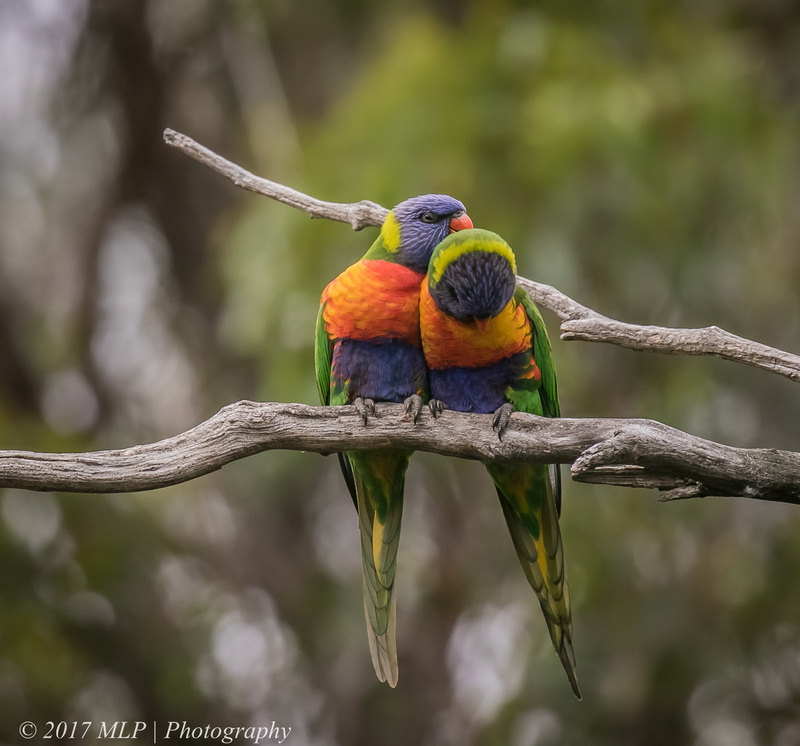 While visiting Braeside Park on the weekend I was photographing a nesting Tawny Frogmouth, and two Rainbow Lorrikeets decided to investigate. 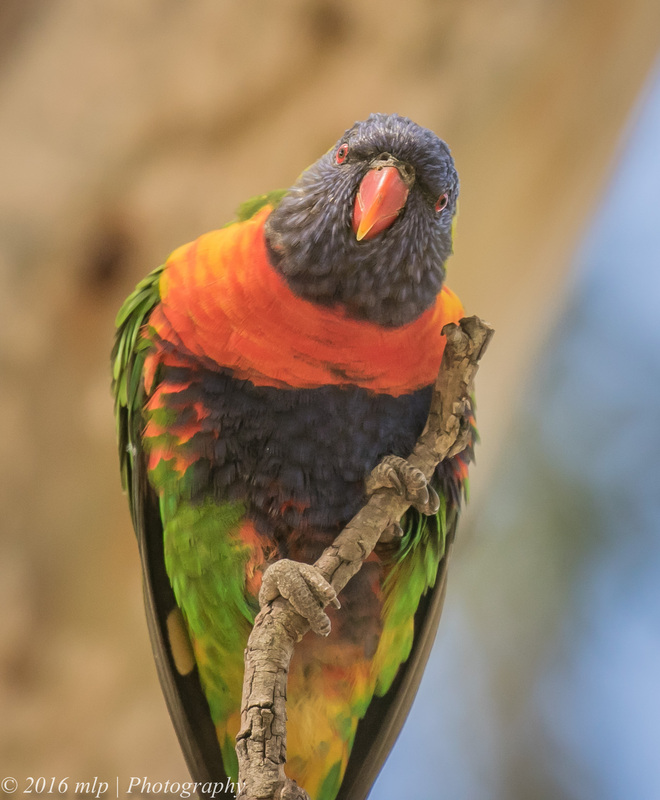 Walking along the local creek last night I stopped to watch a few ducks in the water when a raucous burst of Rainbow Lorikeet sounds from above redirected my attention. 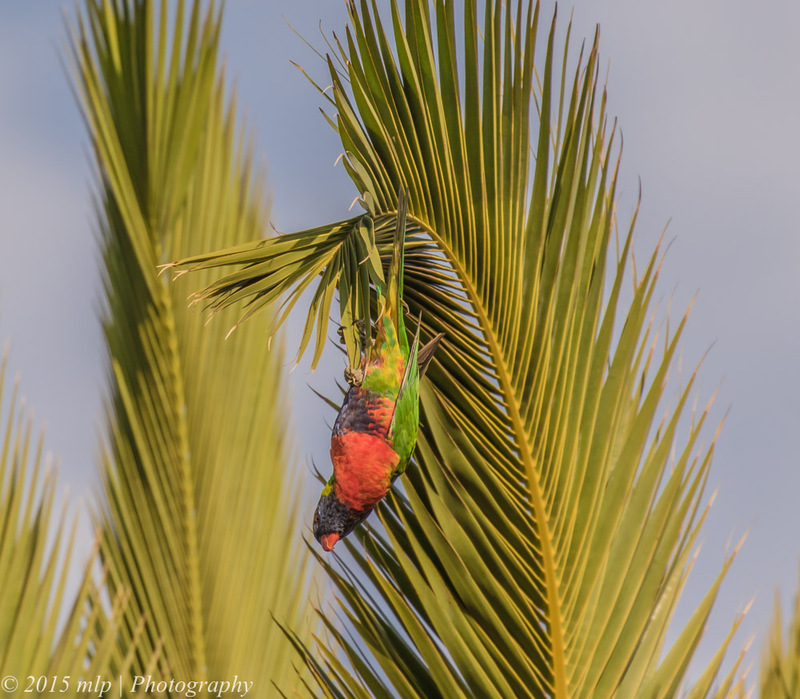 Dangling and swinging above me from the end of bent palm tree fronds were two Lorikeets playing and hanging upside down. 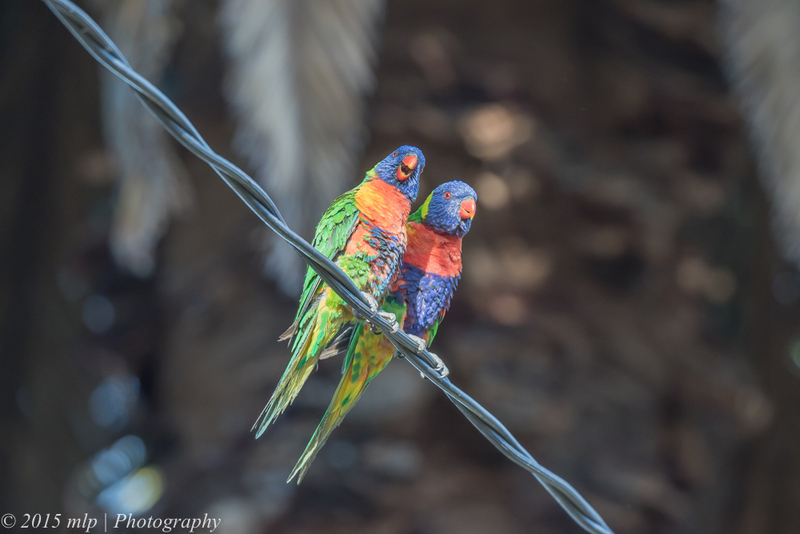 The competition seemed to be about who could stayed upside down the longest while screeching at each other and me… A number of others watched the action from a nearby power line. 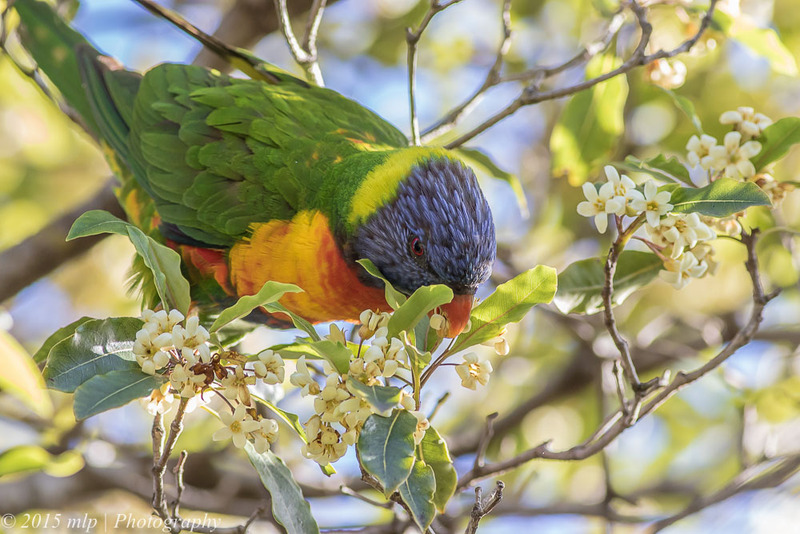 With only a few days to go until Spring officially starts, the local trees and Ducks are right on schedule. 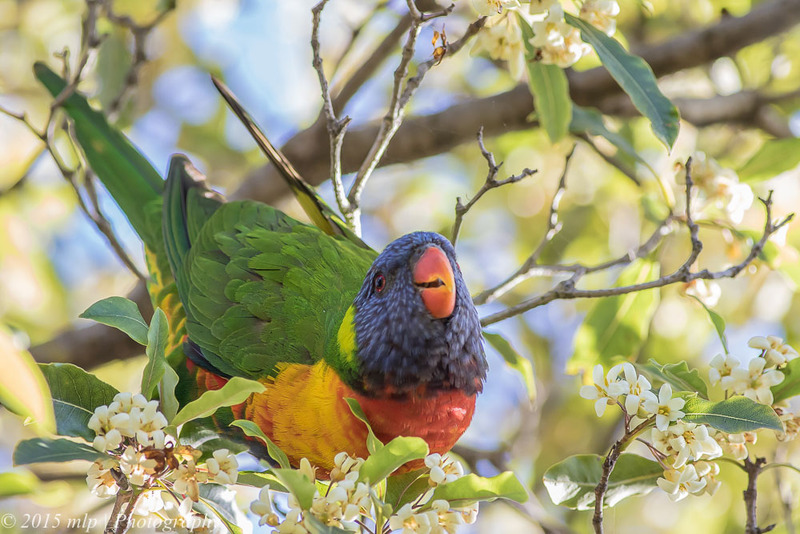 A late afternoon walk along Elster Creek to see what was about started with trying to find the Lorikeets I could hear in the flowering tree that hangs over the fence in my backyard into the creek. 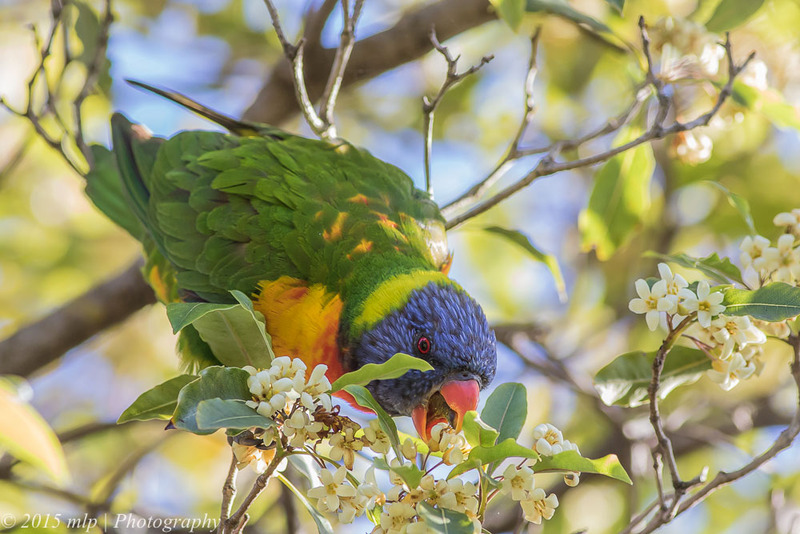 The Rainbow Lorikeets were feeding on the small white flowers and seemed to be enjoying the sun. 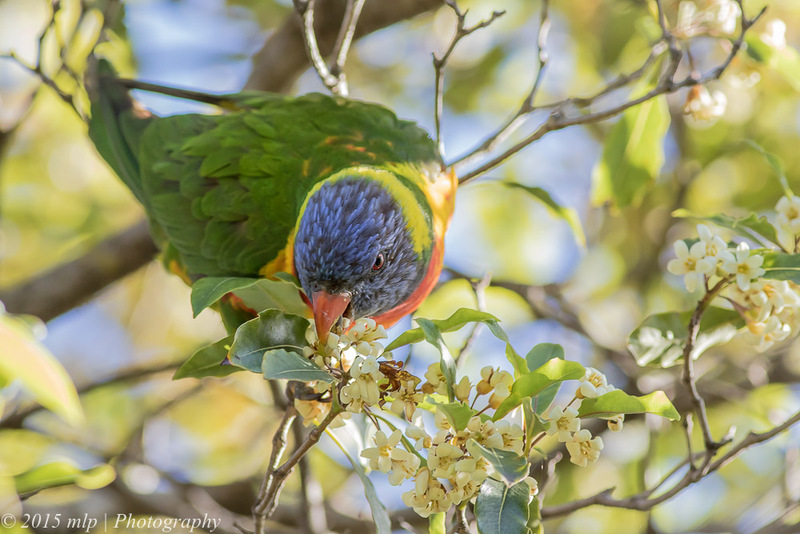 They allowed me to get quite close before they flew onto the next flowering tree. 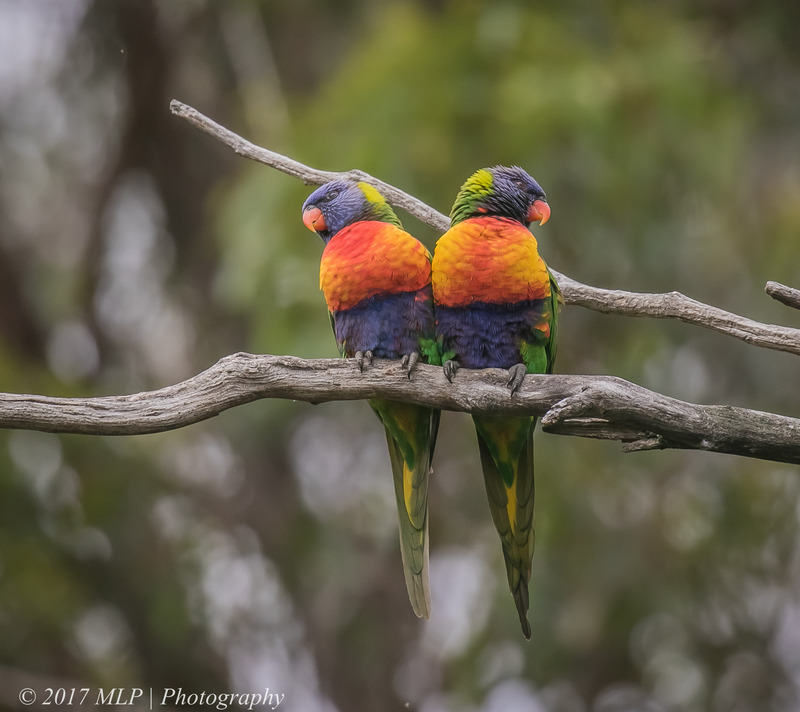 At the local wetlands lake I ran into a birding friend Gio, and we walked along the banks together planning our next day trip into the bush. 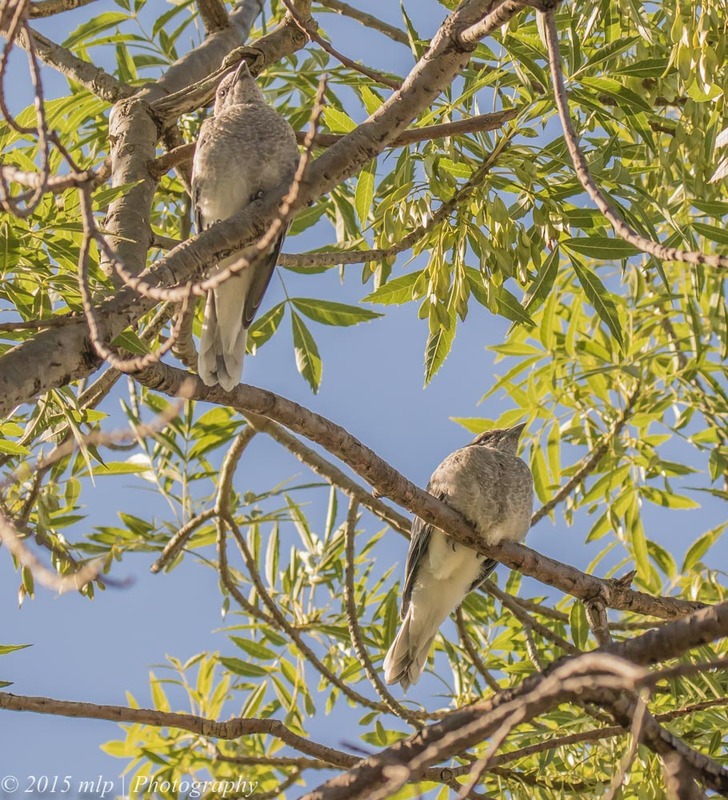 We came across a family of Wood Ducks that had nested nearby and were now raising 10 checks. 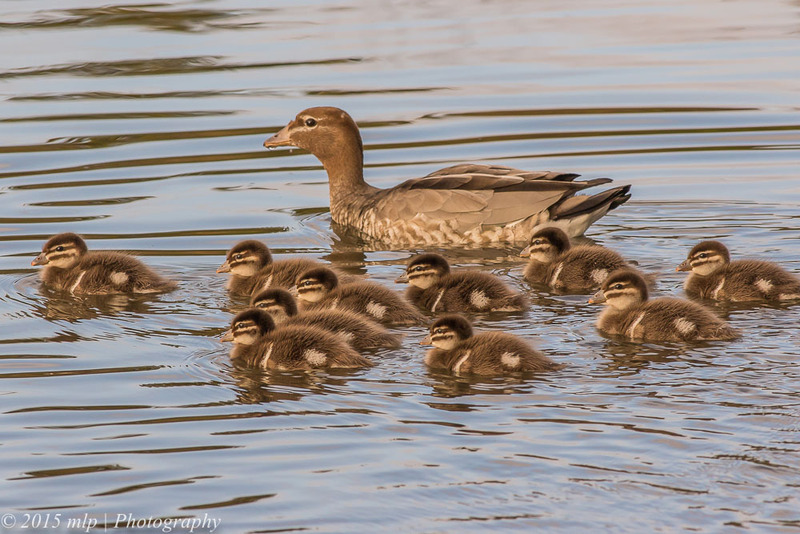 Wood Ducks have quite large families and I think it is needed as quite a few chicks are taken by many predators. 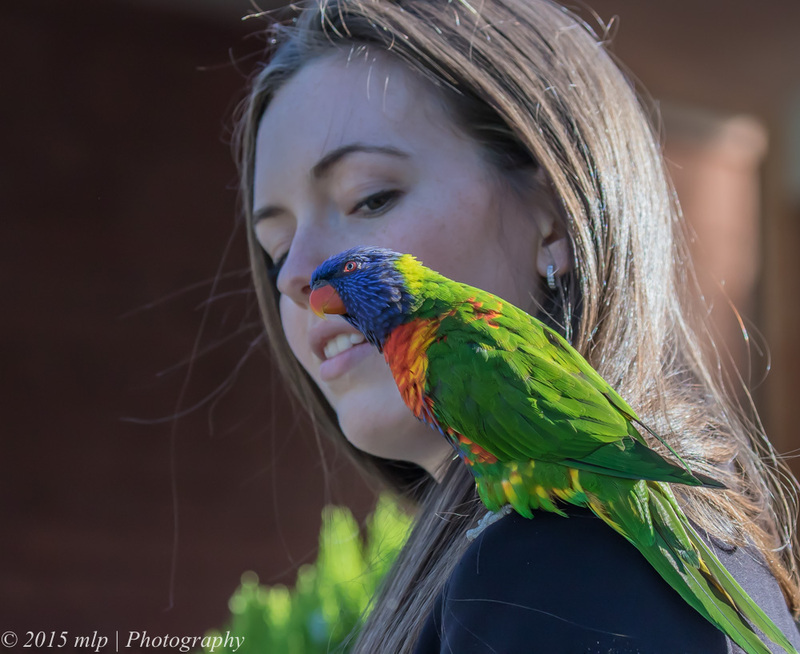 Wood Ducks are usually pretty calm around people and just wander back to the water if you approach but these adults were much more nervous of us and took to the water straight away. 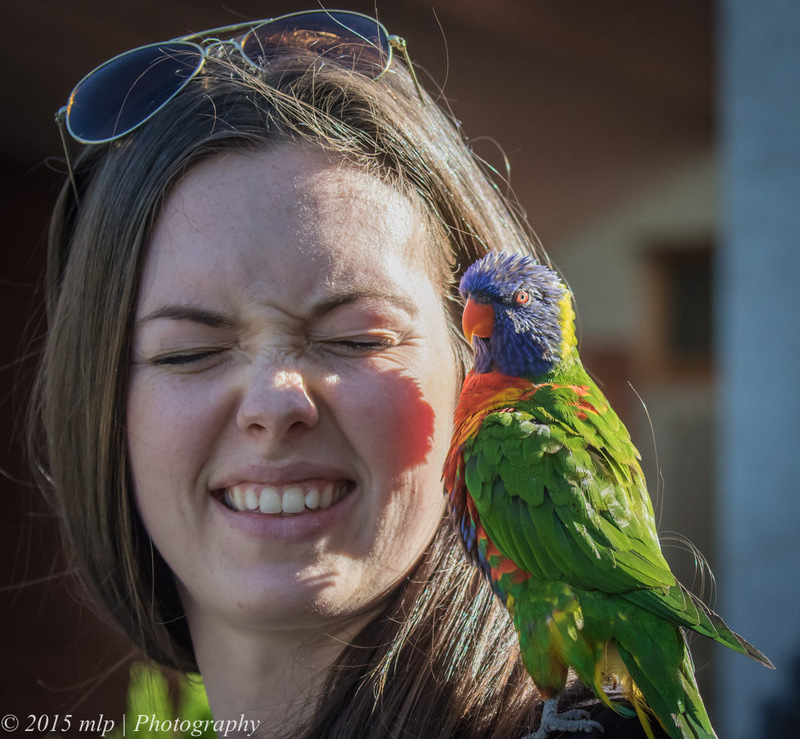 Is the male Wood Duck sticking his tongue out at me?